From 1892 - 1922 over 1,300 Crachesi left to settle in North America, bringing with them ancient recipes from Craco that no one had ever bothered to write down. Food and food preparation has always been an integral part of life for Crachesi. Seasons are not just about knowing how to dress for the weather, but for knowing when to plant the garden, when to can bushels and bushels of tomatoes, when to crush the grapes for wine, when olives should be pressed for the best oil, and for knowing when soppressata and prosciutto will cure best. 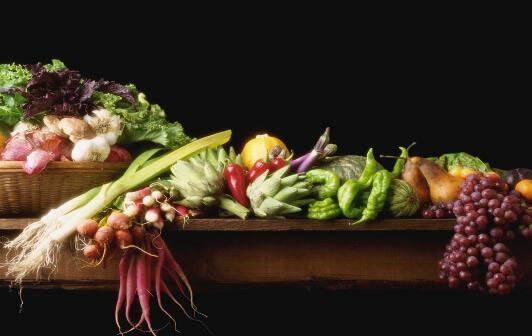 The flavors of the local food, which enchants with its wholesome goodness, are robust, sharp, and intense. Pork, pasta, bread and vegetables are the stars of the table, and desserts are surprisingly good, especially those generously sweetened with the local honey. The food gets its taste from its strong spicy ingredients. It is rich in flavors of wild herbs and tomatoes, silvery olives, and prickly pear cactus. Red peppers abound, as do strong sheep and goat cheese. There is sharp pecorino cheese, delicious caciocavallo, and creamy burrata. The cooking methods are simple with much baking and grilling. In Craco, there is little land available for grazing, so animal protein has been enjoyed rarely and the killing of the family pig (or of the landowner’s pig, if the family couldn’t afford its own) every winter was a big event. What little meat was consumed was roasted or baked in hearty casseroles with potatoes, tomatoes, onions, and a scattering of herbs for flavor. Today, meat plays is more important role; pork is an integral part of the region’s cuisine, often made into sausages or roasted on a spit by home cooks. Mutton and lamb are also popular meats. The quality of the pork, mutton, or goat is excellent; however, the dishes remain simple and robust, as in centuries past. Pasta is undoubtedly queen in this rocky landscape, cut and cooked a thousand different ways. Typical pastas are the lagane - small rough shaped lasagna, or the rolled miniuch - similar to spaghetti with a hole. The sauces use all the vegetables available, yellow with peppers, red with tomatoes, green with chards. Heaping portions of vegetables, mostly baked rather than sautéed or fried, are a favored second course. These include local bitter onions, mushrooms, fava beans, artichokes, potatoes, and peppers. Peperonata is a local favorite consisting of sweet peppers, tomatoes and chili pepper, often mixed with chunks of pork. A custom in southern cooking is the liberal use of chili pepper. Desserts are simple but delicious based on grain, nuts and a particular use of local cheeses. The wines are rich and strong, full of hot sunshine. Basilicata boasts a grandiose deep red wine in Aglianico del Vulture, which carries the name of a vine introduced by the ancient Greeks and the volcano on whose slopes they planted it. When aged, it makes a towering match for lamb and cheeses. Refreshingly tasty are the sweet and often bubbly Moscato and Malvasia. Mangia! Mangia! – Eat! Eat! Meals are seen as a time to spend with family and friends instead of immediate sustenance; the regular daily meals can be a bit longer than other cultures. During holidays, many family feasts will last for many hours, if not the entire day.